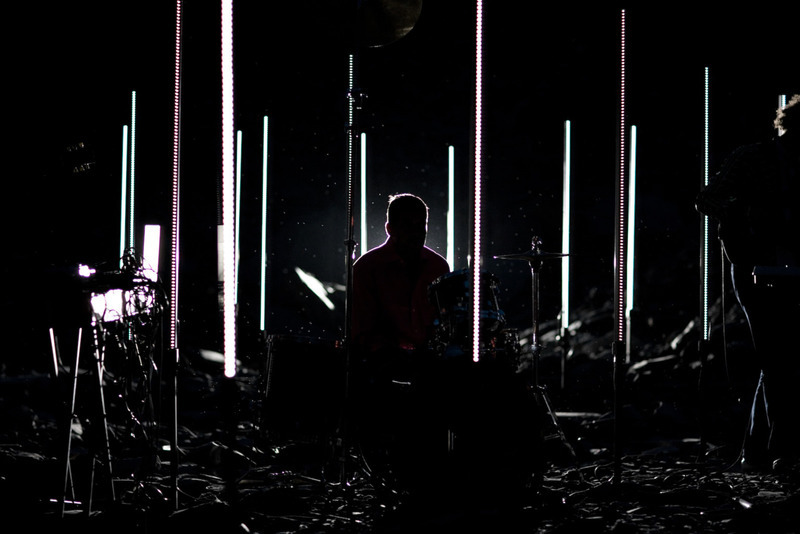 At the invitation of Warp Films, UVA created a unique sculptural work and installation as the centre point for the music video of Tonto by Battles. 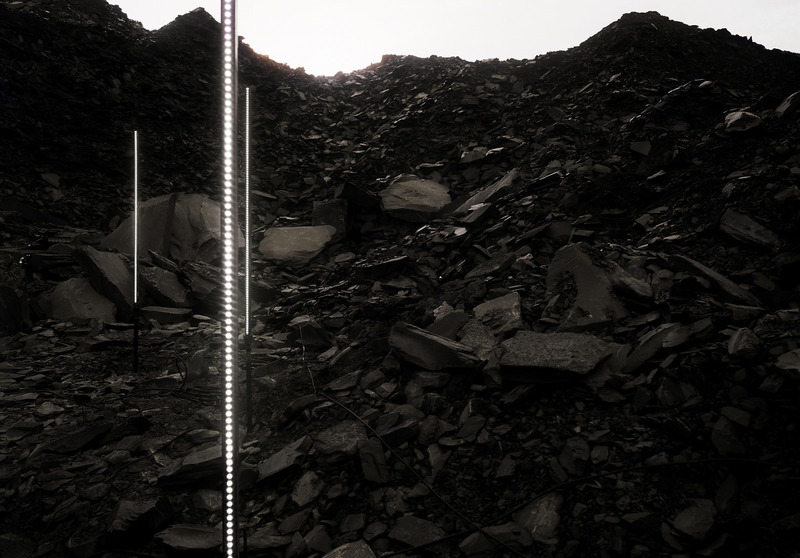 Comprising light responsive pillars, the work was installed in a disused Welsh slate mine, generating a synchronised illuminated performance against the rugged terrain. The work was durational in nature, captured using time-lapse methods and documentary footage of the band’s eleven-hour marathon. 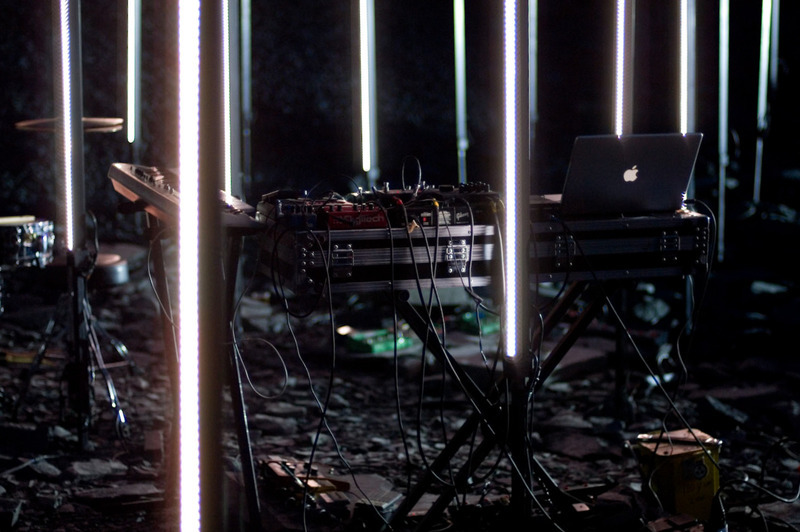 The piece explored the capacity of both artist and artwork as visualising forces of intense energy against vacant darkness. 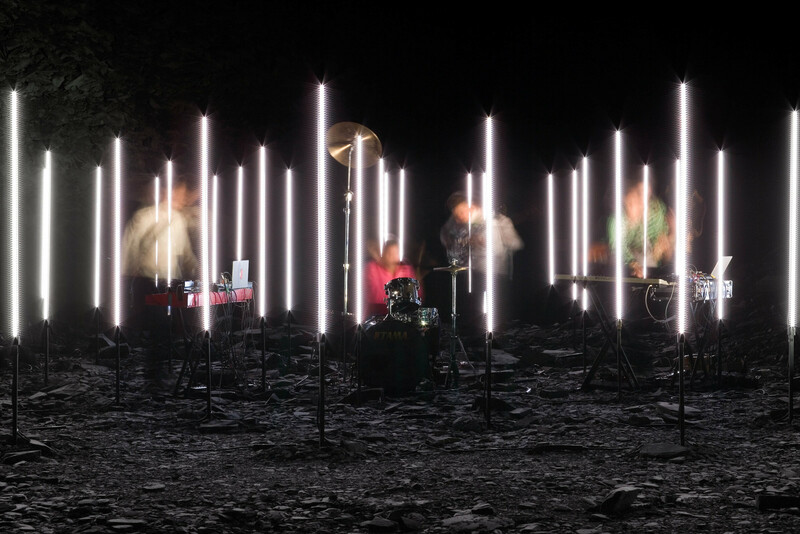 The resulting photography formed the cover artwork for the single.